Three prototyping programs indicate strong potential for injection molded amorphous metal in medical device applications. “There’s a tremendous amount of interest from the medical community,” Tom Steipp, CEO of Liquidmetal Technologies (Rancho Santa Margarita, CA) said in an interview with Plastics Today. Liquidmetal is a unique material developed at the California Institute of Technology in the early 1990s.After conventional alloys cool to a solid state, they generally crystallize into geometric types of structures that have built-in weak points. Liquidmetal has an amorphous, liquid-like atomic structure in its solid state, making them significantly stronger. 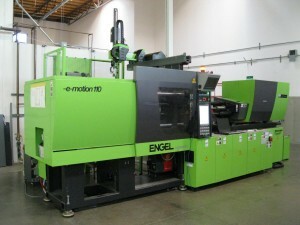 The technology has struggled, but received a significant boost within the last 15 months due to a breakthrough injection molding machine developed by Engel. The company has already signed licensing agreements with Apple and Swatch to raise much-needed cash, and is now actively working with potential customers on several prototype programs in the oil & gas field, sporting goods, and other fields as well as medical. The specific immediate targets are parts that are currently made from machined metal or injection molded metal powder. One example would be jaws for surgical instruments. One advantage of using a processing technology closer to plastics molding is that more complex parts can be designed, allowing parts’ integration, increased functionality and reduced secondary processing. One company exploring the possibility of using amorphous metal in a medical device is an Israeli company called Medinol, which makes cardiology stents that are distributed by Cordis, a Johnson & Johnson company. Its stents are currently made of conventional metals such as stainless steel, cobalt chromium, and NiTinol. A Medinol patent approved in February describes an expandable helical stent made from an amorphous metal alloy that is formed from flat or tubular metal in a helical coiled structure which has an undulating pattern. ConforMIS, Inc. (Burlington, MA) references potential use of Liquidmetal in several recent patents for surgical tools for arthroplasty.